Baking fans from Orchard Gardens in Bishopstoke care home have risen to the challenge of making cakes for the Alzheimer’s Society. Residents from Anchor’s Orchard Gardens care home, baked and decorated cakes during their charity cake day on Thursday 14th June. Helped by Care Assistants, the residents decorated the cakes to sell at their ‘Cupcake Day’ event at the home in Bishopstoke Park. Team Leader, Chloe Gray, said the residents were keen to hold an event to raise money for the Alzheimer’s Society because it was such a worthwhile charity. She said: “The residents have heard about the charity’s great work so wanted to boost their funds. 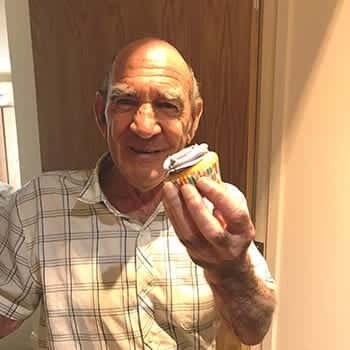 “Our residents love our regular baking and cake decorating sessions so they were keen to use their talents to boost the money raised on the day.